An American tuning firm from the heart of NASCAR country has upgraded output in a 911 Turbo Cabrio to 660 horsepower. With the launch of the all-new 991 generation 911 Turbo set likely to take place next September at the Frankfurt Auto Show, aftermarket tuning firms are still making power and handling modifications to the outgoing generation, the 997 911 Turbo, which remains on sale until the new one arrives in showrooms. 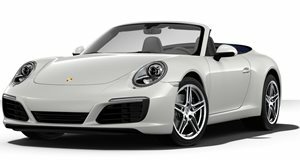 One of those firms is Charlotte, North Carolina, based GMP Performance who has just completed some custom work for a client on a one-of-a-kind 997 Turbo Cabrio. Finished in GT Silver Metallic, this 911 Turbo was upgraded with a Bilstein coil over suspension, front ground control camber plates, a SpeedART exhaust with matte black tips, SpeedART header, an ECU upgrade and a racing performance clutch, amongst other mods. Mated to a six-speed manual gearbox, output from the 3.6-liter flat six is increased to a solid 660 horsepower (up from 493) and 700 lb-ft of torque. All told, some $30,000 was invested by its owner to turn this into one of the best performing aftermarket Turbos ever built.